The Official Site of Saxophonist & Film Composer Eli Bennett » Eli Bennett Wins JAZZ ARTIST OF THE YEAR at the 2016 Fraser Valley Music Awards! Eli Bennett Wins JAZZ ARTIST OF THE YEAR at the 2016 Fraser Valley Music Awards! July 16, 2016 (Abbotsford, BC) – The winners for the first ever Fraser Valley Music Awards were announced this evening at the Abbotsford Arts Centre presented by CIVL-FM Radio. Among the 12 categories and 57 nominees, Eli Bennett was awarded “Jazz Artist of the Year”! Eli Bennett Nominated for JAZZ ARTIST OF THE YEAR at the Fraser Valley Music Awards! 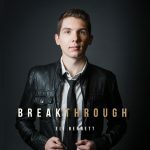 Eli Bennett’s debut album “BREAKTHROUGH” Released! !